Happy Holidays from me to you! 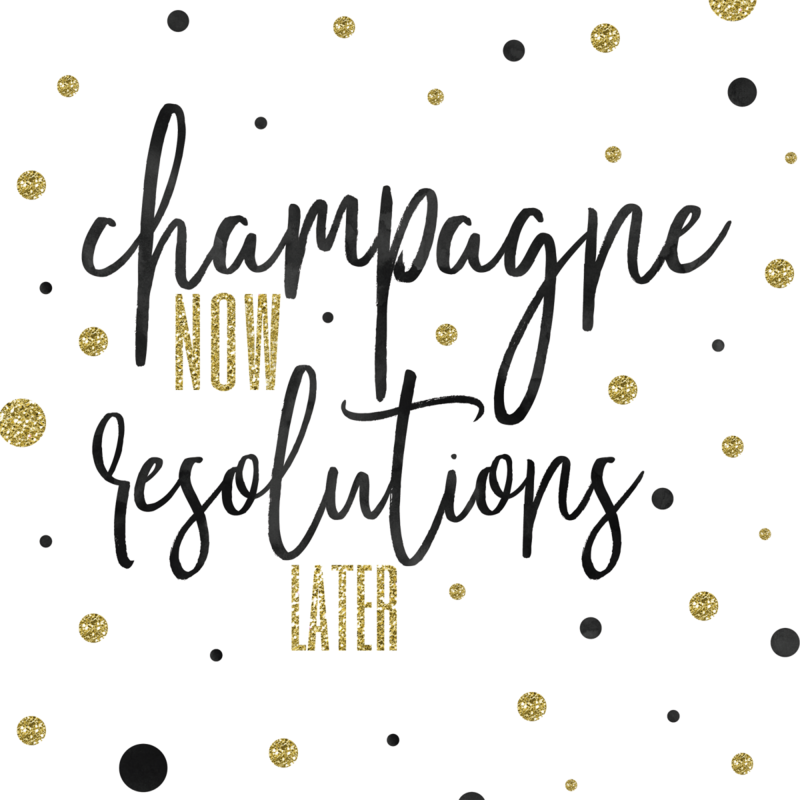 Enjoy this chic and glittery free printable. Merry Christmas and Happy New Year! 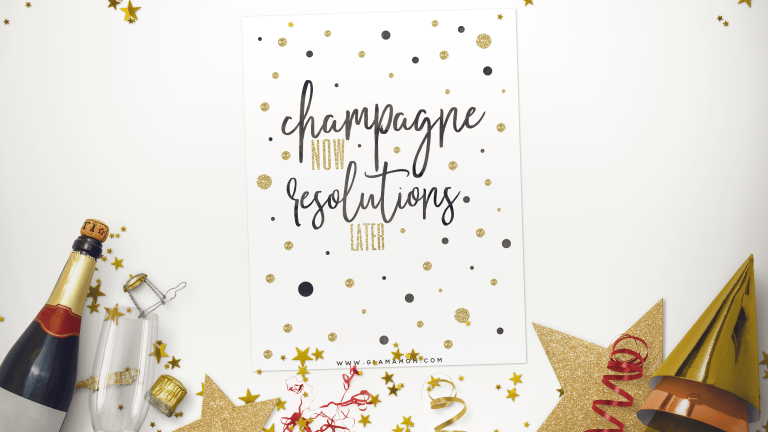 I love this chic and glittery New Year&apos;s printable, featuring the phrase "Champagne now, resolutions later" amid a mass of glittery & black watercolor dots. It&apos;s US letter size, with artwork formatted to 8x10" for cropping. Make a fun little gift too! Just click here to download. Enjoy!